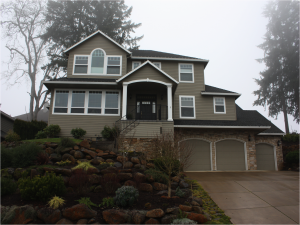 Residential Painting Contractor Salem Oregon | Hobbs Painting Inc.
With over thirty years in the business, we have the experience property owners have come to appreciate and trust. Never compromising on quality means we always use high end and reliable paints with staying power. Our work illustrates that neither beauty nor durability need be sacrificed. Our highly skilled team will always ensure the structure and surfaces are prepared properly to ensure a beautiful finish with longevity. Hobbs Painting has a wide range of capabilities and experience to draw from making us an excellent choice for residential projects of all types and sizes. Whether you have a rental property you are preparing for the market, are the owner of a vintage craftsman or a custom-built luxury estate, we have the experience to provide you with an affordable quality painting solution you can be proud of. You can view some of our fine work in the Photo Gallery or read Testimonials from previous customers. “During the past 24 years Dave Glocar Custom Homes has built everything from 1200 square foot homes for folks just starting out to 13,000 square foot custom homes. Our fine buildings are the result of a team effort by our staff and the contractors who work on our behalf. It is without hesitation that we highly recommend one of them, Jim Hobbs Painting. Jim and his crew have proven themselves to be professional, dependable and well qualifies to handle any remodeling project or any new construction project requiring the services of a highly skilled painter. “Thank you for an excellent paint job! Your crews conducted themselves very professionally and worked tirelessly throughout . We greatly enjoyed working with you.